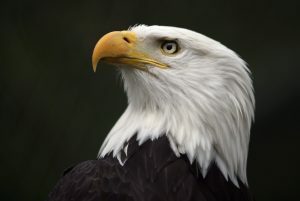 In 1782, the bald eagle was officially declared the national symbol of the United States. It became the icon that evoked patriotism – a feeling of strength and power, of independence and courage. At the time, the population was at an estimated 100,000 birds. 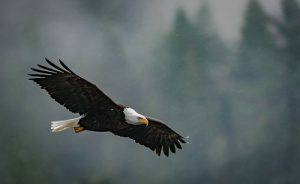 In the 20th century, the population of bald eagles fell to dangerously low levels, leading to fears of extinction. 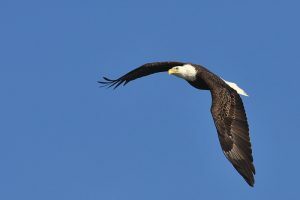 Fortunately, decades of recovery efforts brought the species back from the brink – a testament to the meaningful milestones that can be achieved through effective conservation. Every year for 15 years, a lone ultralight aircraft took to the skies, tailed by a flock of majestic white and red-capped birds. 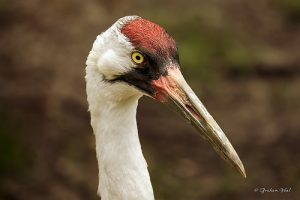 The young, captive-bred whooping cranes followed their surrogate parent on a migration journey from Wisconsin to Florida, where they spent the winter on the warm Gulf Coast.